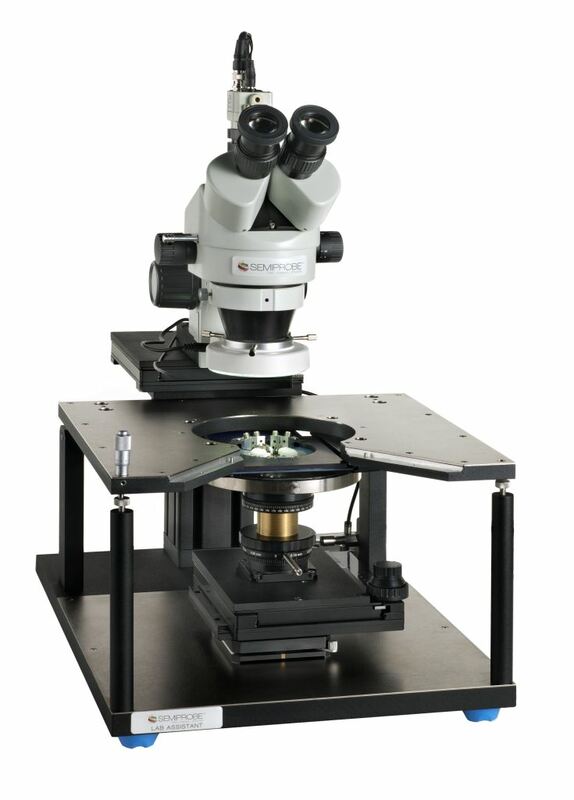 The Centre for NanoHealth at Swansea University has recently purchased an electrical wafer probe station from microelectronics assembly equipment specialist Inseto (www.inseto.co.uk), to assist them with their electrical probing of micro and nano devices for bio sensors. Dr Owen Guy, Senior Lecturer explains why the University chose the Inseto prober. “We were on the search for a low cost probe station to assist in our research and development work here at the Centre for NanoHealth (CNH), where we are collaborating with local companies. We are involved in the probing of micro and nano devices in bio sensors that are typically used in disease markers such as glucose markers. The funds for the prober have been made available to the CNH’s new Nano & Micro Technologies for Healthcare project, through the European Regional Development Fund via the Welsh Government. The tendering process involves the submission of three quotes but it isn’t typically just cost that drives the purchase. We knew of Inseto as we had been in touch with them previously regarding some other equipment we had looked to purchase. We also know their Technical Support Team, led by Jim Rhodes, as they had provided us with some process and equipment training and therefore trusted them and knew they fully understood the Universities requirements and demands. Location was also a factor, we weren’t necessarily insisting that we had a UK supplier but we felt it was a distinct advantage and it has proved to be invaluable, as Inseto are available for service and support as and when we require, which has been a real bonus. The delivery of the prober has also been very seamless as the whole process only took a few weeks to go through”. Dr Guy concludes, “We have been very impressed all round with the product, service and support we have received from Inseto and are already talking to them about future equipment purchases”.